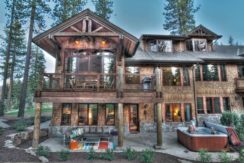 Find timeshares and fractional homes in Lake Tahoe. The gem of the Sierra Nevada Mountains, Lake Tahoe is a prime vacation spot. Home to winter adventure sports and summer outdoor recreation, it’s a major tourist attraction in California and Nevada. The Lake Tahoe area offers year-round beauty and enjoyment of a variety of pursuits. From your base at Lake Tahoe, whether it’s a timeshare or hotel, you can explore all three major settlements on the lake. Lake Tahoe’s North Shore is home to prime recreation all year long. The Kings Beach State Recreation Area, a California State Park, is a 900-foot long sandy beach near downtown Kings Beach. It is a day-use facility and includes many barbecue pits and picnic tables. The downtown location is convenient to many boutiques, shops, and restaurants. Sand Harbor Beach is a Nevada State Park where you can enjoy swimming under the watchful eye of lifeguards from Memorial Day through Labor Day or rent kayaks by the hour for a peaceful paddle on the lake. Public boat launches are available for recreational crafts or arrange a scuba diving adventure in the second deepest lake in the US. Lovers of the bard flock to the area in July and August, when Sand Harbor is home to the Lake Tahoe Shakespeare Festival. The North Shore is conveniently located near Lake Tahoe’s world-class ski areas. The Northstar California Resort is one of the largest winter sports resort areas available. It has more than 100 beginner, intermediate, and expert trails to suit every ability level. Twenty chairlifts safely take more than 34,000 skiers per hour to the top of the slopes. Northstar resort offers many lodging options. The Northstar Lodge is right at the base of the Highlands Gondola, giving you lift access directly from the front door. The Ritz-Carlton is at the mid-mountain level at Northstar with ski-in, ski-out access. Luxurious timeshares are also available at Northstar resort at Lake Tahoe, making it a popular, reasonably priced vacation destination. Visitors to the mountain can enjoy fine dining, quick snacks and convenient meals with restaurants up and down the mountain. The Summit Smokehouse, at 8,610 feet above sea level, offers breakfast and lunch to skiers. The Lodge at Big Springs features hearty burgers and chili for hungry skiers willing to take a break at mid-mountain. The village at the base has casual and fine dining options perfect for après ski. South Lake Tahoe entertains visitors with the casinos and nightlife on the Nevada side of the state line. Many of the casinos are clustered around Stateline Avenue in Stateline, Nevada, allowing quick and easy access across the state line in either direction. Harrah’s Lake Tahoe is one of the iconic sights on the south shore. You can enjoy casino gambling, a nightclub, lodging, and dining, as well as other headline entertainment on the Nevada side before taking a quick walk across to the Stateline Brewery on the California side. The Riva Grill features stunning views of the lake from floor-to-ceiling windows overlooking the water. South Lake Tahoe is also home to the Lake’s only Olympic-sized ice rink, the South Lake Tahoe Ice Arena. The arena offers plenty of open-skating time as well as playing host to the Lake Tahoe Icemen of the Western States Junior League. South Lake Tahoe makes a fine base for exploration with plenty of opportunities for recreation. Nearby is Vikingsholm, where tours are available all summer for the 38-room castle built in 1929. Part of Emerald Bay State Park, the home is one of America’s leading examples of Scandinavian architecture. Emerald Bay also includes Lake Tahoe’s only island, Fannette Island. Just north of Vikingsholm is the D. L. Bliss State Park where you might catch a glimpse of the local black bear population. The park also offers swimming, scuba diving, kayaking, and hiking opportunities. Along the western shore of Lake Tahoe, you will find many small communities and places to explore by car and kayak. From Tahoe City south to the D.L. Bliss State Park, this area attracts many photographers and outdoor adventurers annually. The Homewood Mountain Resort offers skiing by the lake. Most runs provide spectacular views of the lake from the trail, making it a truly unique ski experience. The resort also offers many opportunities for hiking and mountain biking during the summer. During the summer, Tahoe Sailing Charters offers three daily cruises around the lake. Based in Tahoe City, you can enjoy the views around the lake. Afternoon and evening cruises include a selection of snacks and alcoholic and non-alcoholic beverages. For those who want to explore for themselves, West Shore Sports offers kayak and paddleboarding. Renting from $20 per hour, you can explore the west shore from three locations. One popular destination is Chambers Landing, a public beach just south of the Homewood Resort. You can refresh yourself at the Chambers Landing Bar and Grill. One of the main attractions of Tahoe City, at the northern end of the west shore, is the Tahoe Maritime Museum. The Museum, which has an excellent collection of boats, focuses on the recreational maritime experience on the lake, including many mahogany boats from manufacturers such as Chris-Craft. Whether you party away the nights in the bright, entertaining casino area of the South Shore in Nevada, or schuss down the slopes in North Shore, or relax in West Lake Tahoe while enjoying the spectacular views, you’ll find the adventure you want in Lake Tahoe. All three settlements offer opportunities to visit while crafting a new experience for each vacation.